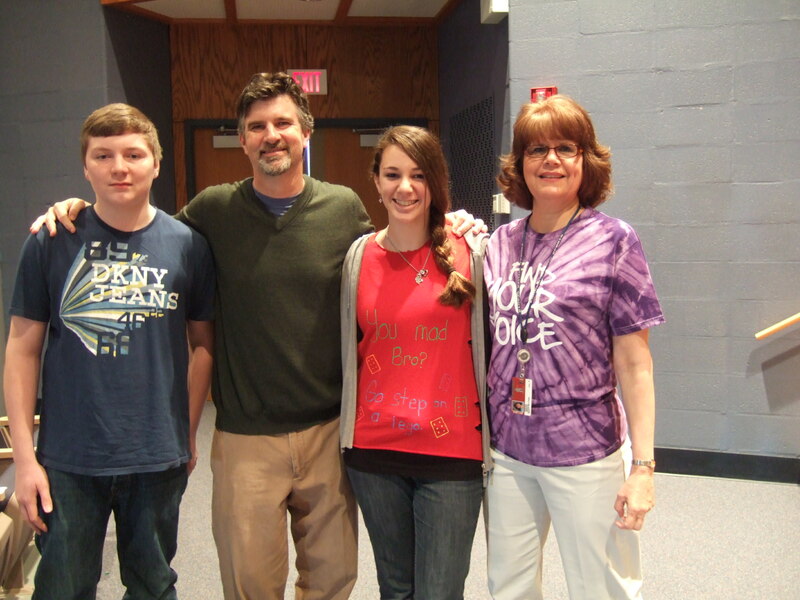 Last week I enjoyed three days of school visits in Pennsylvania. It was nicely varied, since the first day was at a K-6 elementary school. On a visit of that nature, I do three completely different talks to a variety of ages, which helps me from becoming too terribly sick of myself (an occupational hazard, I’m afraid). The next two days were at middle schools, and to my great pleasure included giving writing workshops to small groups of students (about 25-30 each). While I do have doubts about my ability as a writing teacher, I have to admit that I must know something, all these years and books under my belt. Mostly though, I really think these students want a moment to shine, and share, and it’s my honor to try to support them in their efforts. I just want to find the good qualities in each shared sample and encourage, encourage, encourage. 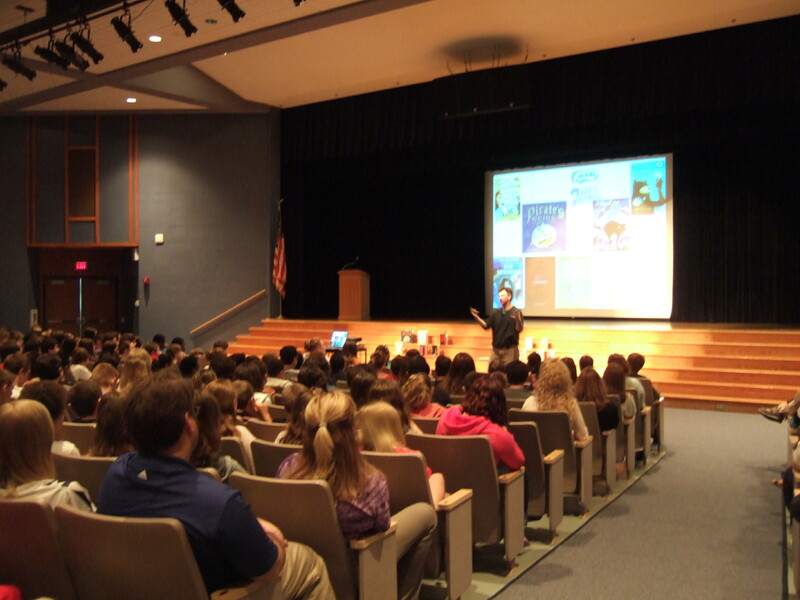 At one school, Conrad Weiser Middle School in Robesonia, PA, the day began with a general presentation for grades 5-8 in a large auditorium, filled with somewhere around 650 students. Not at all scary, but . 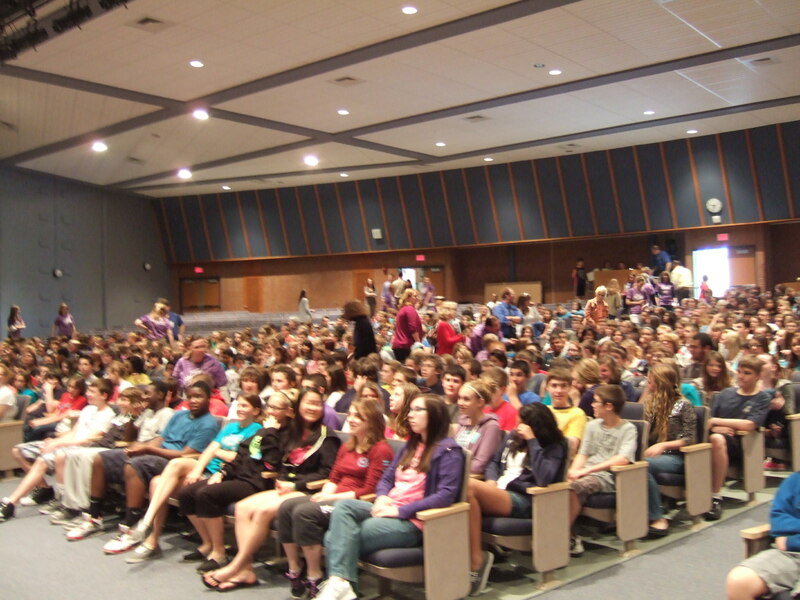 . . you really don’t want to bore 650 middle school students. And I don’t even juggle. Oh, and get this: At the 3rd school, Brandywine, the school jazz band played (I think) “Birdland” and (I know) “Rockin’ Robin” while the students filed in. That was a first for me — a warm-up act! Wish I had a photo of those guys, they were excellent, and reminded my of my son, Gavin, who plays guitar in his middle school jazz band. Don’t tell my kids — especially Gavin — that I show pictures of them to crowds like this, their smiling gobs on ten-foot screens. They would be mortified. In fact, Gavin’s default position these days, when it comes to his father, is mortification and embarrassment. Sigh. On every trip, you make some friends and then never see them again. So here I am, wearing my current go-to sweater, still a little glassy-eyed from my recent (losing) bout with pneumonia, with a couple of students and librarian Kathie Matthew. Don’t go by his expression, the guy in the left is actually thrilled beyond belief. Okay, maybe not. Without Kathie’s enthusiasm and energy, the whole trip would have never happened. So thanks again for a great day, Kathie. God bless librarians, each and every one!